The simplest definition is firewood that has been put into a giant oven and baked in order to remove moisture and kill bugs both inside and outside the firewood. Kiln dried firewood is a fairly new product in the firewood industry. It was developed almost by accident, the firewood was being put into kilns that were originally designed to dry lumber in order to kill the EAB or emerald ash borer beetle. The EAB wrecks havoc on ash trees everywhere it manages to be transported to. So in order to be safe most states now have laws requiring that wood be at least heat treated in a kiln in order to be sold across state lines. It was quickly discovered that if you baked the firewood in the kiln for an extended period not only did you kill all the bugs but you also were able to remove nearly all of the moisture from the firewood. What your left with is a premium firewood product that is totally safe to put inside and around your home and extremely easy to light and get burning. The fire it produces is hot and has very little smoke since the water content of the wood is very low it allows for an efficient burning fire. Now that it is well known that the kiln drying process produces such a high quality firewood in such a short turn around there are several large kiln manufactures who have engineered kilns specifically for kiln drying firewood. One of the most popular happens to be here in NC called Kiln Direct. 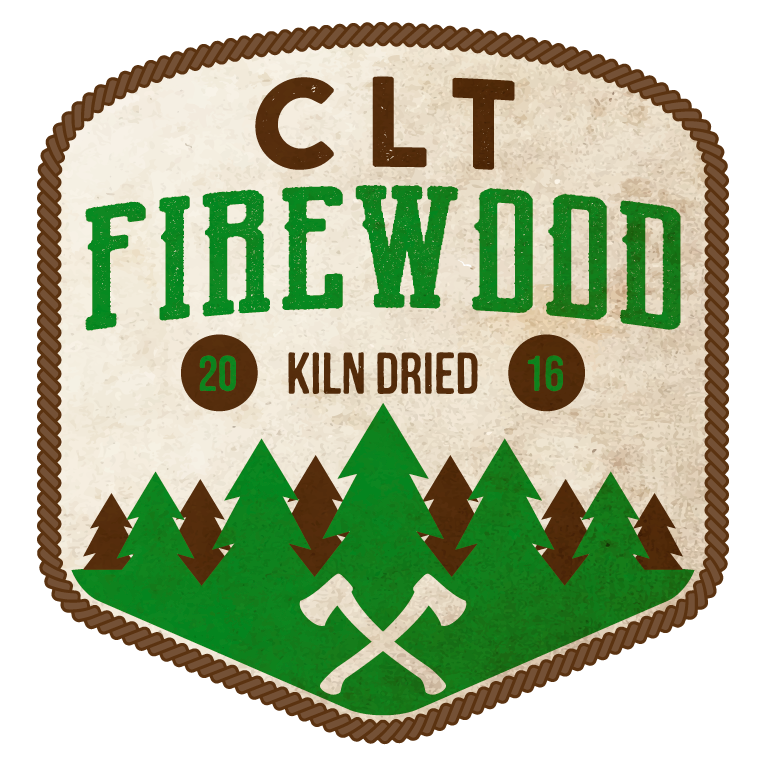 They make the kiln that we use here at CLT Firewood to dry our firewood! The Mini Quick is heated using natural gas and has a fan system it uses to vent the excess moisture during the drying process. Our entire drying process runs about 35 hours and gets our firewood moisture content down to about 0-5%. I hope this was a helpful breakdown of what exactly kiln dried firewood is! If you have not yet tried kiln dried firewood do yourself a favor and give it a shot! If you have any questions or comments about anything in this article feel free to ask any of us here at CLT Firewood.